Elephant Removals Company London is your one stop shop for all moving storage services you need when relocating house. 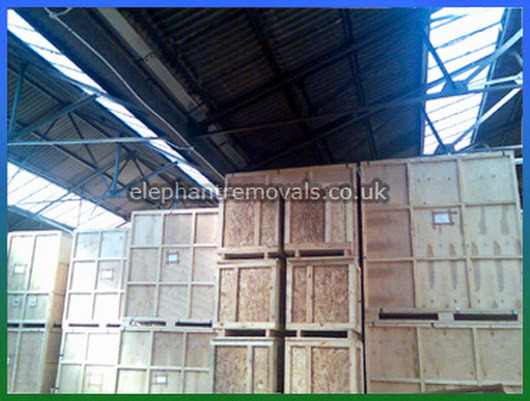 Elephant Removals is a trusted and experienced moving company operating in London to UK wide. Whether it’s an office relocation, domestic move, export packing service or supply of premium quality packaging materials for advance delivery, we are available 24/7 and can be contacted for any last-minute removals. All your shipping goods are fully insured with us during the move. Our wide range of transport services also cover small moves, crane hire service for items to go via window or balcony, as well as a man and van hire service at short notice for any size haulage going any distance whatever your new delivery address may be. We keep our prices cheap and affordable for man with a van and student moves to make it reasonable than a specialized home relocation done by a team of two or more. Elephant Removals Company primarily operates in London and deals with domestic moves on the territory of the city to across the UK, Europe and any international destinations for private and commercial moves which is required to relocate from a long distance. Our movers and packers in London can also provide Handyman service to finish the final touches to make your new property into a desirable dwelling. For thrilling discounts and offers, visit our website, don’t delay and visit to get a moving quote and book your removal today! Call to get your free, no-obligation quote - benefit from competitive price rates and thrilling online discount deals. Apply online via our website and save an extra 10%.